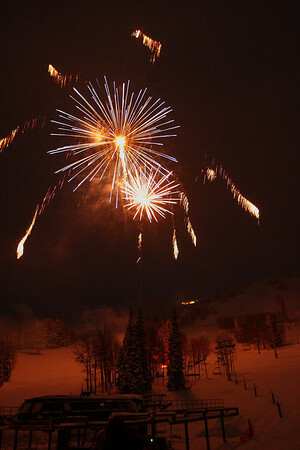 Salt Fork Images: New Years Eve - Grand Targhee Style! WOW! 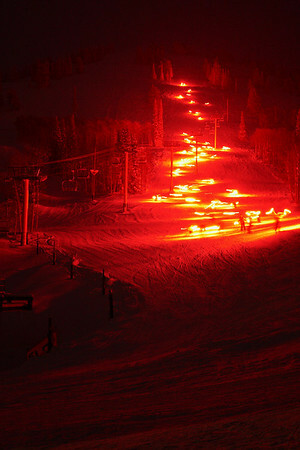 The torchlight parade and the fireworks at Grand Targhee were great! The only problem was that the temperature had plummeted down to single digits. I scoped out my location about 20 minutes before the parade and managed to take enough test shots so that I was pretty confident when things got going. Jill and the kids joined me - with a welcome cup of hot chocolate - and we ooohed and aaahed together as the skiers came down the mountain. 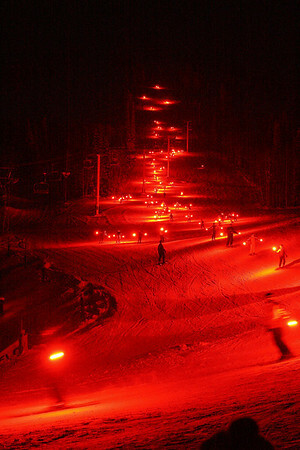 Tomorrow we hit the slopes....... not sure if I'll take the big camera or not.